Allison's Quick Lube in El Dorado Springs, MO 64744 is a full-service preventative maintenance and auto repair center, providing comprehensive car care services for your domestic or import vehicle to keep it running at full power. For questions, contact us at 417-876-4339 or send us an email, and our experts will help determine what needs to be done. The engine air filter captures airborne contaminants such as dirt, dust and even bugs before they can enter the engine. A dirty, clogged engine air filter can contribute to poor overall engine performance. 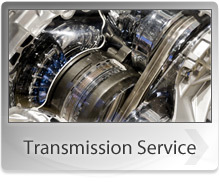 The differential is a special gear box located between the drive wheels of your vehicle. It allows the drive wheels to turn at different speeds. Over time, high operating temperatures can cause the lubricating fluid in the differential to break down, developing a gummy texture that doesn't properly lubricate the gears. Replacing the fluid can help you avoid premature wear on the gears in the differential, and can even help reduce wear on drive-wheel tires. You may follow the factory maintenance schedule while your car or truck is under warranty but once your warranty expires it's easy to let proper maintenance slip. Automotive manufacturers know that a well maintained car, truck or SUV increases owner satisfaction because the vehicle is more dependable and will last longer. That's why the manufacturer creates detailed maintenance schedules outlining specific operations to be performed on various components and systems. This is done at different mileage intervals to ensure proper operation and prevent premature wear. Your vehicle's manufacturer also indicates which services are required to maintain the factory warranty and extended warranty. The fuel filter is located on the line that brings fuel from the tank to the engine. The filter removes contaminants and particulates so fuel can flow to the engine smoothly and without obstruction. A clean, unclogged fuel filter can help prevent reductions in engine performance. We check these during a full service oil change. 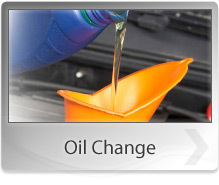 Full service oil change with up to 5 quarts of oil. We check and top all the fluid levels, check air pressure in the tires, vacuum the interior and wash the outside of the windows. A faulty Positive Crankcase Ventilation (PCV) valve can cause problems including engine stumbles/misfires, rough idle, and even excessive oil consumption. Outsmart the Elements with Rain-X wiper blades, windshield treatments, washes, waxes and tar and bug repellent products. 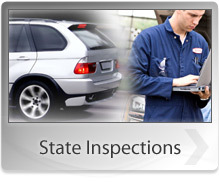 Allison's Quick Lube is a licensed State Inspection Station.